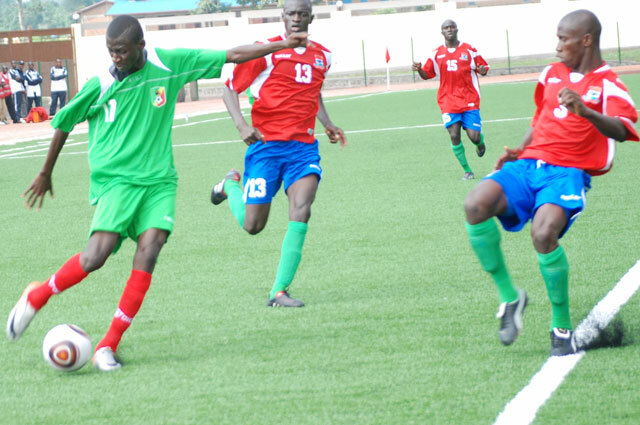 All eyes will be on the Amahoro Stadium in Kigali, as Rwanda face Burkina Faso in the African Under 17 Championships. Rwanda are the host nation, but started off as many people’s underdog before the tournament began earlier this month. They will meet Burkina Faso for the second time in this tournament, having been drawn together in the group stages. The match finished 2-1 to Rwanda in that game. Nevertheless, Burkina Faso have been more than impressive in their other matches. They defeated a much-fancied Egyptian side 4-0 and were 3-0 up before the game eventually finished 3-2 against Senegal. In the 2009 tournament, Burkina Faso finished 3rd place after beating Malawi 2-0 in the third/fourth place play-off. Despite finishing runners-up on two occasions and finishing third once, Burkina Faso have never lifted the trophy since the tournament began in 1995. Meanwhile, Rwanda has never previously participated in an African final of any sort and has only ever competed at one senior African Cup of Nations tournament held in Tunisia seven years ago, making their performances this year all the more impressive. The tournament starts with two groups of four teams, and the two top teams from each group qualify for the semi-finals. The teams involved in the semi-finals also qualify for this summers FIFA U17 World Cup. Defending champions, Gambia, were ditched out at the group stage after a run of poor results which bought them only one win out of three matches, against Mali. Yesterday, Congo defeated Ivory Coast 2-1 in the third/fourth place play-off. It’s very early to tell whether any stars of the tournament will develop into the next Didier Drogba, or Michael Essien. The tournament’s short structure also doesn’t aid this assessment. Teams only play 4 games to reach the final. Check back tomorrow for a full match report on the final between Burkina Faso and Rwanda. Meanwhile, here’s all the other results from this years tournament. Group A Results: Rwanda 2-1 Burkina Faso; Senegal 1-2 Egypt; Burkina Faso 3-2 Senegal; Egypt 0-1 Rwanda; Rwanda 0-1 Senegal; Burkina Faso 4-0 Egypt. Group B Results: Gambia 0-3 Congo; Ivory Coast 2-1 Mali; Congo 2-2 Ivory Coast; Mali 0-1 Gambia; Gambia 1-4 Ivory Coast; Congo 2-1 Mali.